While the Central Pollution Control Board (CPCB) data showed the overall air quality index (AQI) at 'severe' level of 450, the Centre-run System of Air Quality and Weather Forecasting (SAFAR) showed a higher level at 471. According to experts, under the 'severe' category, even healthy people find it hard to breathe and doctors advise minimum physical activity. Thirty areas of the national capital recorded on Sunday 'severe' air quality while it was 'very poor' in six, the CPCB said. Several areas like Ashok Vihar, Anand Vihar and Wazirpur, among others, inched towards the 'severe plus emergency' category, the data showed. In NCR, Ghaziabad recorded the worst air quality with an AQI of 475. Faridabad and Noida also recorded 'severe' air quality, the CPCB said. In Delhi, the overall PM2.5 level -- fine particulate matter in the air with a diameter of less than 2.5 micrometer -- was recorded at 404 and the PM10 -- fine particulate matter in the air with a diameter of less than 10 micrometer--level at 577, the CPCB said. Both PM2.5 and PM10 fell in the 'severe plus emergency' category, it said. 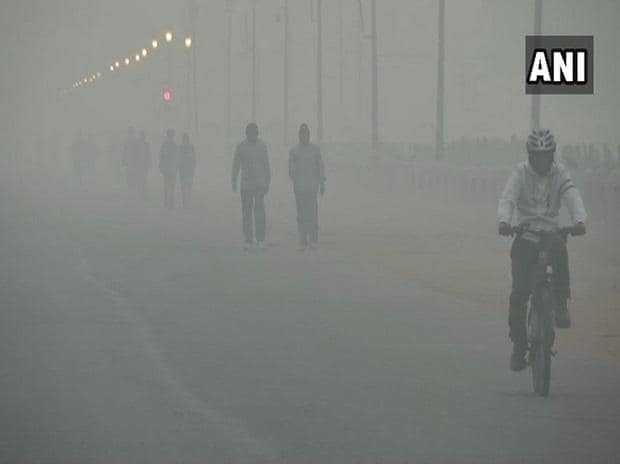 According to the SAFAR, Delhi's overall air quality is expected to remain in severe range until Monday morning and thereafter start to improve slowly and may touch very poor range.